Wild boar sausage in San Gimignano. 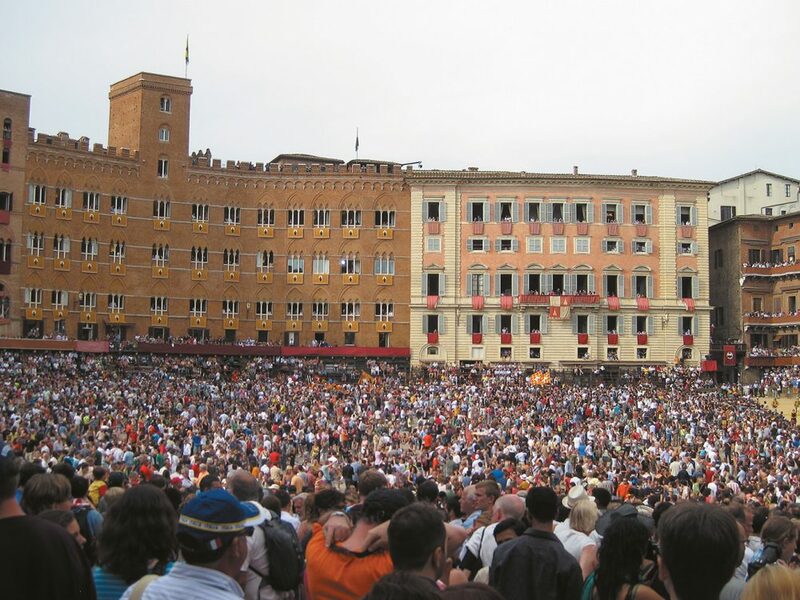 At the Piazza del Campo, crowds await the Palio di Sienna horse race. 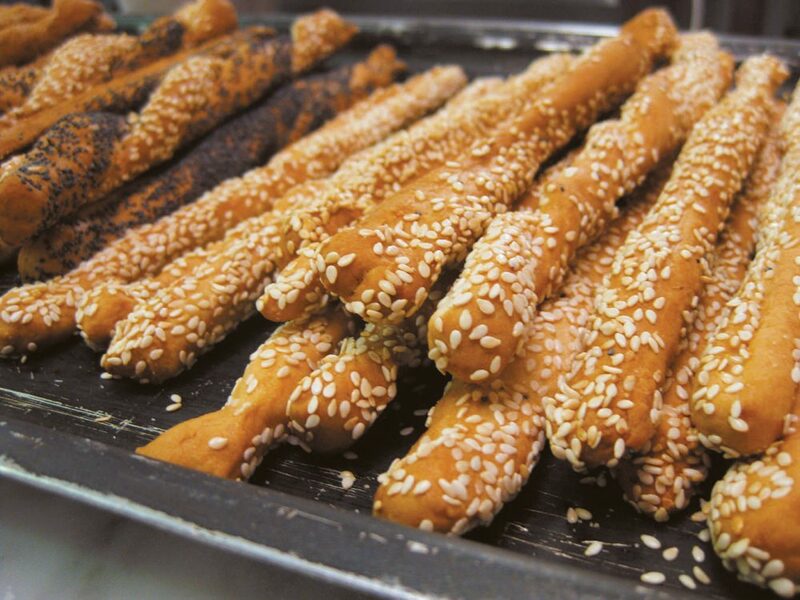 Grissini breadsticks, handmade at the Villa Delia cooking school, Tuscany. 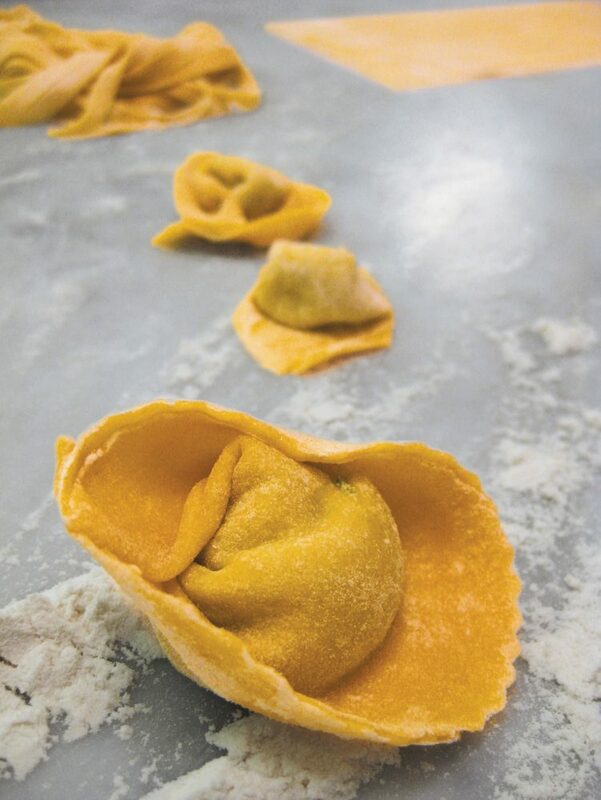 Fresh pasta, handmade at the Villa Delia cooking school, Tuscany. I spent three weeks in Italy this past summer, rediscovering my culinary roots. The thing is, though, I’m not Italian—my mom was the daughter of Ukrainian and Polish immigrant farmers. She taught my brother and I to eat locally and seasonally long before it became a trend, long before the term “100 Mile Diet” was coined. She lovingly tended a vegetable garden in our backyard. It was a small, tidy plot where she nurtured romaine, butter and leaf lettuce; vine-ripened tomatoes; peppery arugula; and enough basil to make jars and jars of pesto. In the summer, we would eat new potatoes with browned butter; in the fall, applesauce made from the Transparent apples off my aunt’s tree. I miss that. I miss the pride and excitement she had for growing and cooking fresh, simple food for her family. I’d forgotten how special that was. This summer in Italy, I was reminded. 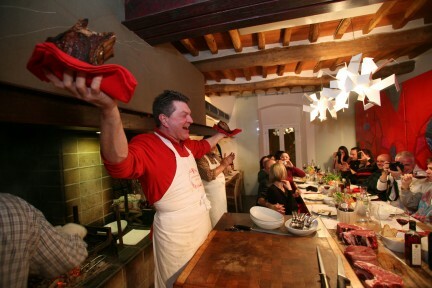 I had always wanted to visit Umberto Menghi’s cooking school at his Villa Delia in Tuscany. It sounded so romantic, but it would turn out to be a lot more than that. Umberto’s sister, Marietta, and her husband, Silvano, run the cooking school and villa. Marietta, who doesn’t speak any English, was our teacher, but with a capable interpreter and Marietta’s warm heart, any language barriers that may have existed were quickly broken. In the morning, a small group of us food enthusiasts would gather in the dining room for breakfast—eggs, fresh figs, cakes made the night before, and rich coffee in huge bowl-shaped mugs. By 9 a.m., we were assembled in the school kitchen with aprons and notepads at the ready. For three hours over each of the next four days, we would learn to make everything from fresh gnocchi and ragu to fried zucchini flowers and grissini (breadsticks). It was intense and it was fabulous. Marietta teaches more than simply technique; people who love to cook share their passion too—they simply can’t help it (my mother was the same way). I was beginning to feel more and more Italian everyday. Va bene! Another important lesson we learned from Marietta was respect for the ingredients. At the villa, you cook with food grown on the farm, brought to the kitchen fresh that morning. What isn’t grown there is raised nearby, and waste is not an option. If there is even a little pastry dough left over from a sweet ricotta pie, you make something with it. Anything you can’t consume fresh, you preserve. In the kitchen, red and purple jars filled with ripe tomatoes and tart plums line the shelves. That too felt a bit like home. After my sojourn at the Villa Delia, I spent some quality time travelling throughout Tuscany and up to the coast of Liguria. With each stop it became clear that eating locally and seasonally is at the core of Italian culture. For example, if you live in San Gimignano, you’re going to eat a lot of wild boar. The animal runs wild in the nearby woods, and at first, I couldn’t help but make an unfortunate connection to Vancouver, like us harvesting Canada geese. 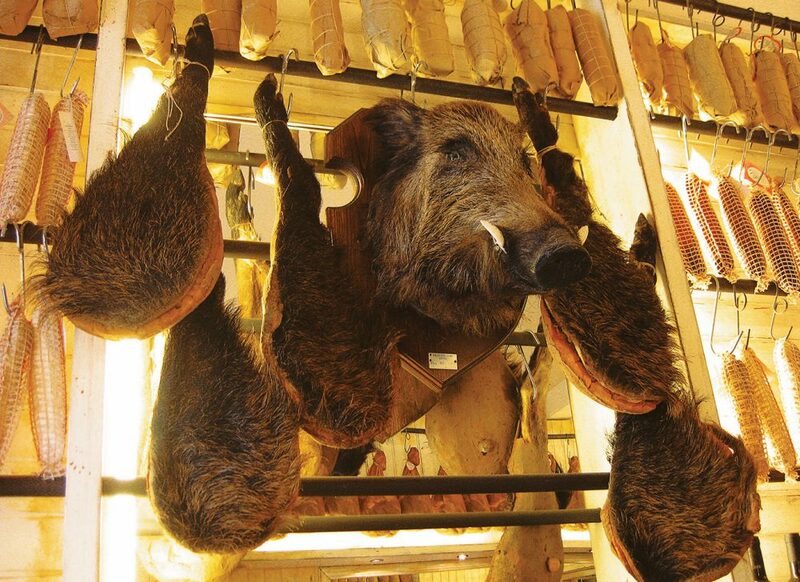 Nevertheless, boar meat is everywhere; big, hairy pigs’ legs dangle from the ceiling of any deli you walk into. I decided to buy some wild boar sausage as a souvenir to take home, not knowing that it, along with some bread and a bottle of water, would be my only sustenance during a six-hour lockdown inside the Piazza del Campo in Siena, waiting for the Palio horse race to run. Thank heaven for that wild pig. While in Siena, I began to notice that you could almost name the town you were in based on the popular foods in each. 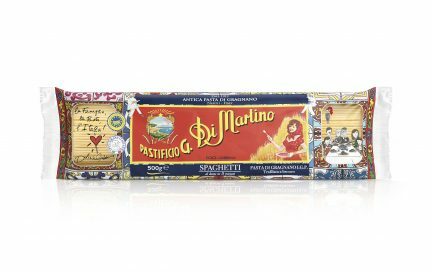 Panforte was invented in Siena some 700 years ago, but still today, the sweet, nutty fruit confection can be found in every second shop. I swear English fruitcake is inspired by panforte—a Marco Polo export perhaps? In Florence, you have bistecca alla Fiorentina. In Lucca, you’ll find torta verde di Lucca, a green pie made with swiss chard or spinach. A savory version of the recipe is popular in many parts of the country, but in Lucca, it’s sweet. It makes for a nice snack as you listen to Puccini and stroll past people jogging the four-kilometre wall around city—their attempt to burn off the torta verde, I think. My last stop in Italy was Rome. From my hotel near the Ponte Sisto, it was a short walk to Campo de’ Fiori, where you’ll find a myriad of restaurants, bars and people at night. I chose to eat at Obika Mozzarella Bar (obika is an Italian expression meaning “there you are”, as in service). It is a restaurant that specializes in varieties of regional Italian bocconcini. Here, you order one of four fresh, distinctive buffalo mozzarellas and pair it with a choice of different meats or vegetables. Dining al fresco on a beautiful Roman summer evening, I ordered the Pontina mozzarella with prosciutto crudo di Parma, mortadella di Prato, and salame di cinta senese. As I ate, I imagined the pastoral farms from which my meal had come, while loud, pleasantly drunk (but well-behaved) Romans and tourists passed by. It was great. I loved the concept of local dining in the middle of a bustling metropolis; so much that I popped inside to ask more about it. Wiping the proverbial egg off my face, I learned that Obika is in fact a chain with locations in New York, Tokyo, London, Milan and Florence. There you are! Needless to say I was disappointed, having thought I was enjoying a uniquely Roman experience. But I realized that the concept actually taps into our desire to connect with our food’s origins, even half-way around the globe. In Tokyo, you can taste a bit of Italy—and not some faux version of Italy, but the real thing. It’s a psychological 100 Mile experience. The restaurant pays respect to the local producers, acknowledging them with small brochures at the counter that explain where the mozzarella comes from, its history and how it’s made. It isn’t a gimmick—it’s pride. Italians are notoriously regional—and now they are exporting that sensibility. In Canada, we are beginning to appreciate the value in knowing where our food comes from, with weekend summer farmer’s markets popping up everywhere. But, they still don’t quite compare to those in the heart of Rome. At Campo de’Fiori and in the Mercato Rionale di Prati, a building just blocks from the Vatican that houses a permanent farmer’s market year round, locals buy farm-fresh foods every day. It’s almost as if Italians don’t trust the food, unless they know where it’s from. I even discovered an herb garden on the rooftop patio of my hotel. Growing up in Victoria, I always felt a little different from my friends. I didn’t know any other kids who preserved pickles on their own while their parents were away on vacation, nor any whose mothers worked and baked bread. They didn’t show up at school with stained fingers from picking blackberries for jelly. Cooking with Marietta at Villa Delia and travelling the country seemed to somehow validate the way my mother raised my brother and me. 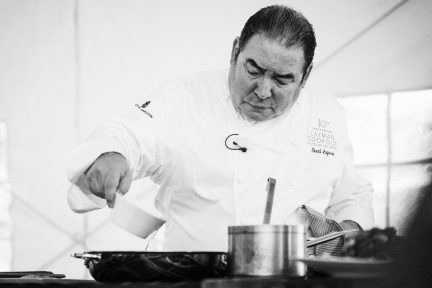 In Italy, I was reminded of what I have always known: the best foods are made with love, and appreciation and respect. So to me, Italy feels like home.